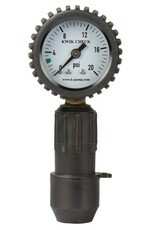 The K-Pump Kwik Check Pressure Gauge takes the guess work out of boat pressure. 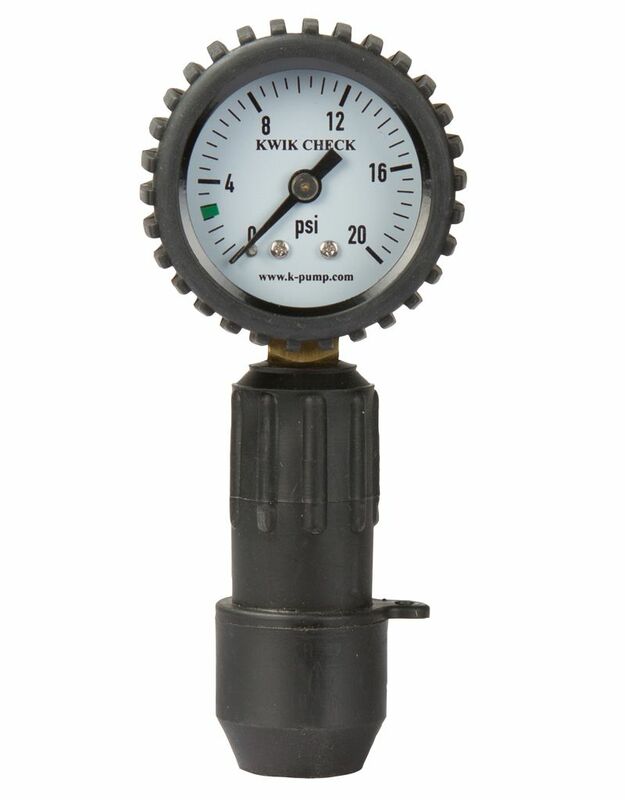 This lightweight, durable gauge works on many valves, so you only need to carry one gauge. Large, high contrast display reads from 0 - 20 psi and is easy to read in all conditions. This gauge must be in the valve while you read the gauge. Lightweight construction and heavy-duty rubberized shell make this gauge very easy to handle, and it's protected when banging around in your dry box. Small tether hole on the adapter lets you leash it to the gauge to prevent loss. The gauge has a screw in the tip that's adjustable to depress the valve stem in order to get a pressure reading. It's preset to work on Leafield and Halkey-Roberts valves. For other valves screw the depressor in or out. For Leafield and military valves, remove the included adapter. Add the adapter for use with Summit, Halkey-Roberts, Innova and similar valves.